chlooenoticemeliked a comment in National Geographic Kids Book Club. chlooenoticeme has joined a book club. vioka added a book review. I like the book Be Prepared because there's a lot of exciting scenes in the book that surprises the readers and lets the readers want to continue the book and read til the end. I love the illustrations in the book because they look very pretty. I would recommend this book to anyone because the situation that the main character is in is very similar to what we have every day. It can teach us how to solve things when those kind of situation happens on us. I think that I would solve things the same way as the main character when i got in a situation like that too. 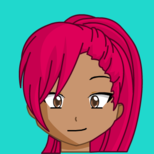 I think that the main character is pretty kind and she tried very hard to make friends. I'm glad that in the end the main character finally made friends and had a wonderful summer vacation at the campsite. vioka has read this book. Welcome @passion! :D Everyone's pretty nice and it depends on who you think is famous. 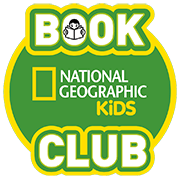 thatredheadxdliked a comment in National Geographic Kids Book Club.